What could be better than Halifax in June? The scenic harbourfront, the shops, the seafood. The 2018 CCAE National Conference, from June 5 - 7! An excellent professional learning program is in preparation by stellar volunteers, and conference special events will take full advantage of unique Halifax locations and cuisine. CCAE is delighted to announce that this unique trio will present the Closing Keynote in Halifax. 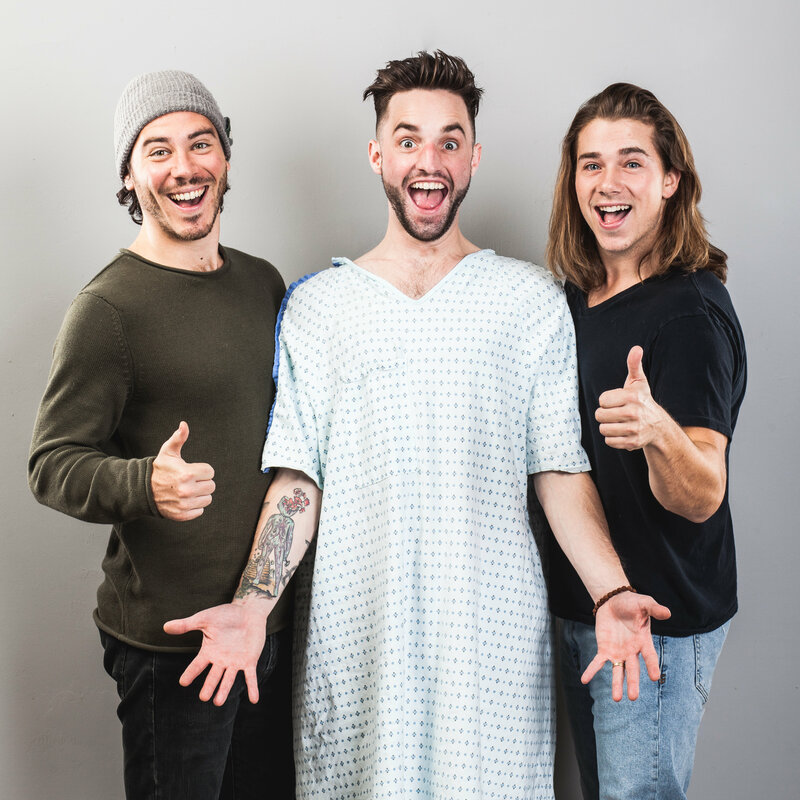 Find out why Sick Boy Podcast is taking Canada by storm, and breaking down the stigmas associated with illness and disease using humour, insight and authenticity. Plus, they are accomplished young crowdfunding experts. Read more about Sick Boy Podcast here on the CCAE website. The 2018 Prix d’;Excellence competition has undergone a complete review with changes and improvements to categories, entry forms and judging guidelines. Check out the new, improved Prix d’Excellence categories and the revised Entry Instructions. Plan to submit your entries between January 15 and February 28, 2018. Calling all Prix d’Excellence Volunteers! This prestigious CCAE program would not be possible without a large number of committed volunteers that serve as category host coordinators and judges for the 2018 competition. The judging will take place through the month of March. As you prepare to submit your own (and your shop’s) best advancement work from 2017, consider where you’d like to volunteer. Please avoid any category in which your school intends to submit an entry. TD Insurance Fellowships: Deadline to apply is 5 weeks away! Don’t miss the opportunity to apply for one of two 2018-19 TD Insurance Fellowships. Add capacity to your advancement shop and potentially launch an advancement career through the TD Insurance Fellowships in Advancement program. Who will you nominate for a for 2018 CCAE Distinguished Service Award? We are delighted to launch The Ask, KCI's brand new monthly podcast on fundraising and philanthropy in Canada! Featuring thought leaders from across the country, The Ask will endeavour to bring thought-provoking content and conversation to fundraising professionals and volunteers nationwide. You can find The Ask at kciphilanthropy.com/TheAsk or on iTunes and Google Play Music.